I love Teachers Pay Teachers, and I am more than thrilled to be giving away a gift certificate to a lucky follower. Not only am I giving away a $10.00 gift certificate from MY blog, but all my Freebielicious friends are also giving away a $10.00 gift certificate from THEIR blogs too! But that's not all! Teachers Pay Teachers has graciously donated some gift certificates for us to give away from our Freebielicious blog. So many chances for you to win! How exciting! I have been a part of the TpT family for 2 years and I can't imagine my life without them. Being a creator and a seller has drastically changed my life in more ways than I can possibly explain. But, I will try! It's really nice to have the extra paycheck each month. I am a very simple person and I don't require a lot of material things to make me happy. I haven't made any big purchases since I started selling, (much to the chagrin of my accountant!) but I have used the money in some great ways. The extra paycheck has allowed me to regularly support my favorite charities. The ones that are nearest and dearest to my heart. First, is the American Heart Association. Sadly, he passed away when he was 57 years young, from heart disease. 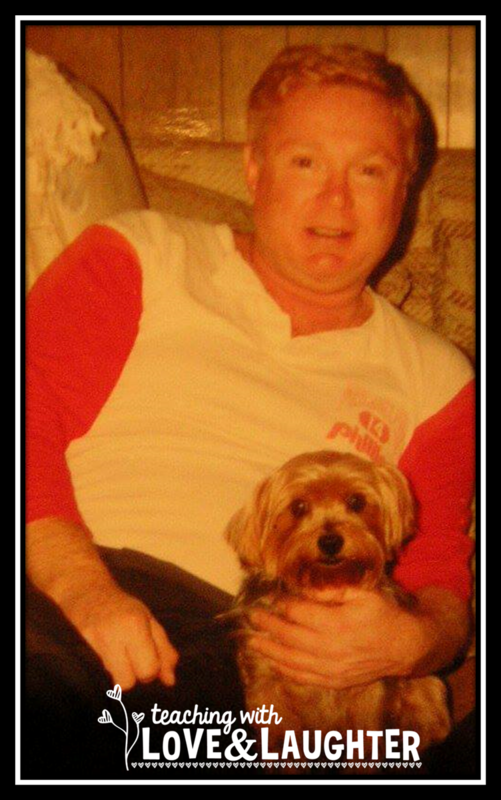 Sitting with him, was my dad's best friend Mickey. I know they are together right now, playing catch with each other and just enjoying each other's company. and The American Cancer Society. I have lost several close relatives and friends to cancer and pray every day that we can eradicate this deadly disease. Next, if you know me well, you know that my yorkies are very special to me. I love all dogs. Truly I do. But yorkies hold a big part of my heart. 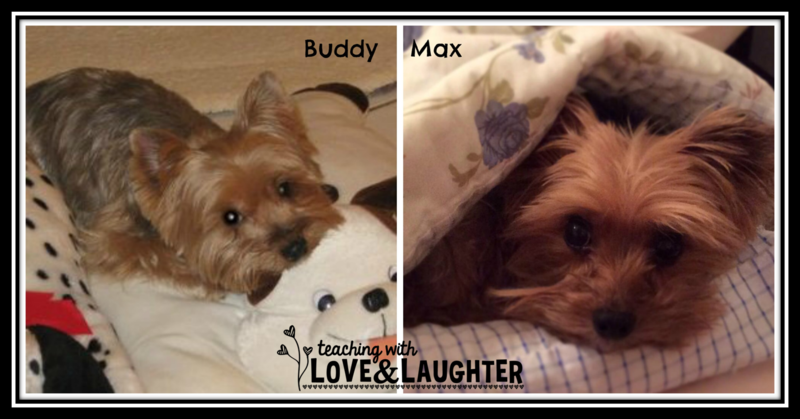 Here are my yorkies, Buddy and Max. He has a lot of health issues and my TpT money has been a saving grace. In addition to helping me pay for the treatments my little Max needs, I also regularly support many different animal rescue groups. Those sweet, innocent faces, get me every time! Charities need us. They desperately need our help and I am grateful to Teachers Pay Teachers for giving me the opportunity to do something to help change the future for millions of people and animals. Now, let's get back to the giveaway! I have purchased a $10.00 gift certificate from TpT and I want one of YOU to win it! All you have to do to enter is fill out the rafflecopter, with integrity. I have included many opportunities for you to enter. Choose one of them or all of them. But, the more you choose, the greater chance you have of winning. And, when you are done entering my giveaway, hop on over to Michelle, and enter to win her giveaway. Just click on her button below. You can easily hop through all our blogs to enter the giveaways. Don't forget to stop by Freebielicious to enter to win the BIG money! Before I go, I just want to tell you one more thing that TpT has done for me. TpT has given me the opportunity to get to know tons and tons of teachers from all over the world. Many of whom have become my friends. We talk about teaching, creating, selling, and just about everything from A-Z. I will be forever grateful to TpT. I love my pup soooo much! I can totally relate to how you feel about your babies :-) Thanks for taking the time to do this give away! You freebielicious girls are great! Your materials have been such a blessing to my students and me! Thank you so very much!! I just love your new blog design! Thanks for hosting this fabulous giveaway! Enjoy your weekend! Thanks for this chance to win! Love your cute blog! Thanks for the amazing chance to win!!!! Love this and your resources! TpT is the best! Thanks for sharing! Never saw your blog before, excited to be following it now. Thank you for the true generosity! I love your blog and your ability to make amazing products. I love your products! Thanks for making such wonderful stuff. I would love to win a gift certificate, thanks for the opportunity. I just LOVVVVVVVVVVVVVVE your site. I love following all the Freebielicious teachers! Always fun to see how other teachers are doing! Love all of the fun activities on TPT too! Thank you for the opportunity to win!!! I love TPT!! Love your blog, your TPT store and am grateful for this giveaway. Thanks. You are a kind soul and amazing teacher. Thank you for all that you do! Love TPT. Thanks so much! Thanks for the giveaway! Love your stuff! Thanks for this opportunity...from someone who can't afford to buy much (my daughter just got married!!). I love your products and your ideas. I have a rescue animal too and they are such a joyous gift. Thank you for sharing your creative ideas and life! Thank you! I just love TPT! Knowing that the products were created by actual teachers who use them in the classroom, makes it the best place for resources as far as I'm concerned. Amazingly we have so much in common! My father died of a heart issue at the age of 57 and many of my relatives have been touched by cancer. Your products are amazing! Thanks for all your hard work! This would be so cool if I won! Thanks for making this possible! Thanks for taking the time to share your talents with so many of us fellow teachers!!!! I love tpt too!! It a wonderful. You have so many great resources, thanks so much!! TpT is great-- instead of inventing the wheel myself, I just roll right along! Great giveaway! I love how helpful all the TpT sellers are with their creations! I love TPT and all you gals for sharing the great things you make! Thanks for the chance to win! I love that you donate money to charity! I LOVE TPT and LOVE your blog! Thanks you for all the wonderful ideas and offering this giveaway! Great give away! I appreciate you and the other teachers for sharing your wonderful ideas and products! Lori, you are one amazing woman! I am SO lucky to call you a friend!! LOVE you to the moon and back!!! TPT is great! Thanks for the chance for shop! EWW...I WANT TO WIN!!!! Love your blog!!!!! I am very excited about this giveaway! This would really be great for my classroom for the rest of the year! I love TPT! Thanks for the great giveaway! Thanks for this giveaway and sharing all of your fabulous ideas with us! I'm with you...TPT is the best! Thanks for the giveaway and for sharing your wonderful ideas! I love TpT and all of the amazing and wonderful resources I find there! Thanks for the giveaway! I love your products and am even more inclined to head there first with all the wonderful charities you support. I love TPT! It saves me so much time creating resources myself. I also love all of the freebies out there! I am following you every where (not in a stalker kind of way!) and I love your ideas and products. I love your blog and products! Thank you for sharing! Y'all are the sweetest for putting together this awesome giveaway!! I love y'all!!! Who doesn't love TPT! Thanks for the chance to win! This was a beautiful post, Lori! Thanks for sharing! You are such an amazing and talented teacher and a wonderful friend. Thank you for all you do! Your blog and TpT products are wonderful. I use so many of them in my classroom. Thanks for all you share with the world. Thanks for all the wonderful ideas you have shared! Lori...you are one IN.CRED.I.BLE. person. Reading your post tugged at my heart! Your yorkies are just adorable!!! Thank for all your creative materials! I love everything that you have shared! Your work is always so wonderful...and I am so thankful for all your freebies! WOuld love to win! Hi Lori, I thought I was already following you on TpT! Oh well, now I am. :-) Thank you for sharing your kind thoughts on your blog. I am new-ish to blogging and I have wondered if people share only teaching things on their teacher blogs or if they share a hodge-podge of topics. Before I had my own blog, I wasn't much thinking about that detail. I guess it didn't matter. :-) I am the type of person who will blog about any topic that comes to mind! Isn't that what our kids do when they are talking to us during the school day? Anyway, thank you for your inspiration to me and to many others. I also have a new-ish store that is getting off of the ground. Wow, creating and posting lessons, etc, on TpT is an adventure, for sure! I find it relaxing to create things to match my lessons that I have conjured up in the past few years. It is exhilarating to see them published! Thanks for the giveaway event! TpT is amazing! It and pinterest are my favorite places to go for inspiration, ideas, and products! Love your creative ideas! Thank you, for making it possible for all of us to be almost as clever as you by sharing your work. What an awesome giveaway!! Wish I knew how to do bloglovin and instagram...just not tech savvy enough I guess! I love your blog design and also TPT. Who doesn't love teachers sharing their ideas with other teachers. What a great giveaway! I love your products. Our district purchased Journeys this year and you have made the transition to a new reading series so much easier!! THANK YOU!! Your dogs are super adorable! Thanks for hosting this giveaway! Thanks for being a part of this giveaway and sharing your ideas and resources!! I always enjoy reading your blog posts! Thanks for the chance to win! 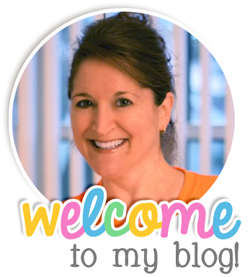 I love your blog, and many thanks to you and all of the other fabulous teachers who share their talents on TPT!!! Your Yorkies are cute! Thanks for this giveaway! Thanks for your dedication to helping so many others. Treasures in heaven await you! I love how you have used your extra income to be of service! That's one HUGE thing I love about all the teaching bloggers I've been introduced to. Keep up the great work! I love your blog! It is so cute!!! Love your blog and thanks for the giveaway! Thank you for this giveaway. TpT has saved me this year with my newborn baby. Thank you for the giveaway opportunity! Thank you for giving back to others! 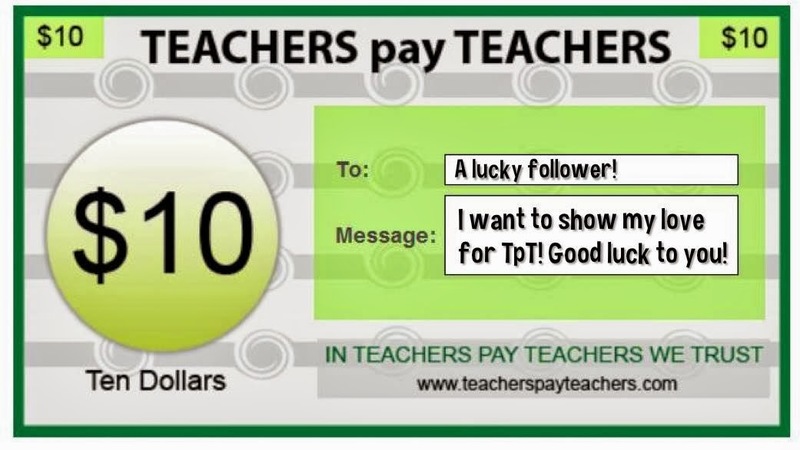 Love your blog & this is an awesome giveaway......who doesn't love teacherspayteachers?